In early 1994, I saw the movie Schindler’s List, which is based on a true story and had a profound effect upon my life. 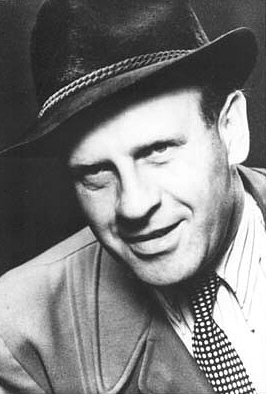 Oskar Schindler is a German businessman who travels to Krakow, Poland in 1939 to make his fortune from World War 2. Schindler joins the Nazi party to help his career and staffs his factory with Jewish workers for economic reasons. An opportunist, Schindler manages to protect his Jewish workers … and his profits. Eventually, however, Schindler realizes that he is actually saving their lives. “1,100 more people are alive because of you,” the man responds. I thought of Schindler’s List as we neared the end of the Iowa Annual Conference and were trying to fit in everything that was on our agenda. Could we have done more? Was the offering to God of our commitment to be difference makers enough? Whose report was left out? What words were left unsaid? How could we have done better? 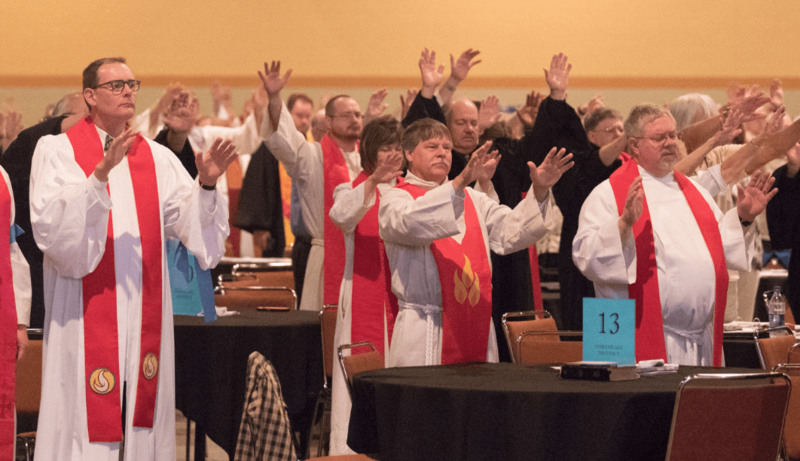 Was annual conference enough? I have struggled my entire life with enough because God’s claim on me has been so strong. How can I rest when people are hungry? How can I say “no” when people in my church are counting on me? How can I stop when the to-do list never ends? I could have done more. When is enough? What is enough, anyway? At the conclusion of Annual Conference on June 12, I shared with the body these words, which could apply to many different settings. “We have done enough. Over the last several days, we have worshipped, prayed, ordained, served, taken offerings, hugged, debated, voted, laughed, cried… and now we are done. We pray that we have been difference makers at this annual conference. We pray that the fruit we bear when we leave here and the crosses we bear when we go back to our communities as servants will honor and glorify God. Yet there is often the nagging sense that it is not enough. In any immediate context of history. “We can’t always get everything right. No one is perfect. Sometimes, despite our best intentions and efforts, the right result doesn’t always happen. You know that because Iowa is a farming state. Farmers are extraordinarily vulnerable every year. No matter how carefully you sow, fertilize, or watch over your crops, all it takes is one terrible weather event, and you can lose it all. My first congregation in Michigan was a bunch of cherry farmers, and I’ve witnessed firsthand losing an entire year’s crop in one night of a hard freeze. “We have done what we could at this annual conference. We voted on constitutional amendments. We have tightened up our rules of order. We have a new vision statement. We are God’s hope for the world made real through faithful leaders, fruitful communities, and fire-filled people. And we have a new mission: inspiring, equipping, and connecting communities of faith to cultivate world-changing disciples of Jesus Christ for our conference. We have been inspired. We have committed to bearing fruit and bearing the cross. I long for the day when all of God’s children will not only believe that they have done enough but will also know that they are enough. I pray for the day when you and I know that we not only have enough for ourselves but we have more than enough to share with others. I dream for the day when loving and being loved, showing grace and being shown grace, is all that we need to make a positive difference in the world. Yes, we could have done more, but God invites us to be content with enough. Oskar Schindler spent millions of dollars to save his Jewish workers and died penniless … with enough. Today thousands of descendants of Schindler’s Jews are living in Europe, the US, and Israel. We are not saved by doing, getting, or serving enough. We are saved by faith, hope, and love. Each step we take toward someone else, each word that shows grace, each act of kindness … is enough. Thank you for these words. They challenge me to do daily what I can and ask our loving God to give me a heart to get up tomorrow and give enough again! Thank you for your leadership and wise words. The Zookeepers Wife was a recent attempt to let this generation of movie-goers get a glimpse of what it was like to survive the holocaust, though it had a “twist” that made it a significant story too. Thank you, Bishop Lauri for your excellent leadership at Annual Conference. Bishop Laurie, if only we could have more like you to lead! Laurie, I continue to rejoice over the fact that you said “yes” in answering the call to have your name placed in nomination for the possibility of being elected bishop, I know it was not easy to say that. How I remember some of the agony you felt several years ago. I pray that in some measure you now feel blessed, because your being and presence have blessed thousands of others in less than a year. Keep on keeping on! This is beautiful! Thank you for always saying just what I need to hear at just the moment when I need, most, to hear it! A very inspiring message! God has given you an amazing gift! May he continue to lead you. We need a great leader! LAURIE ,YOU ARE A BLESSING. I just finished reading, A Life of Being, Having, and Doing Enough. All the way through, I could hear a voice commenting, go back and reread that part. The style, format and content begged me to pour over each chapter consistently. I will be sharing it with a small study group I lead. Your messages seem to clarify for me how to deal with areas I continue to struggle with well after I had thought I found solid ground. You truly are a blessing, and you are serving where you are needed most. This post is a keeper. I, along with most other pastors (and parishioners) I think, struggle daily about what is enough. We serve a God of infinite grace, love, and mercy (and time and energy) yet we who are made in God’s image have to remember that we are NOT God. 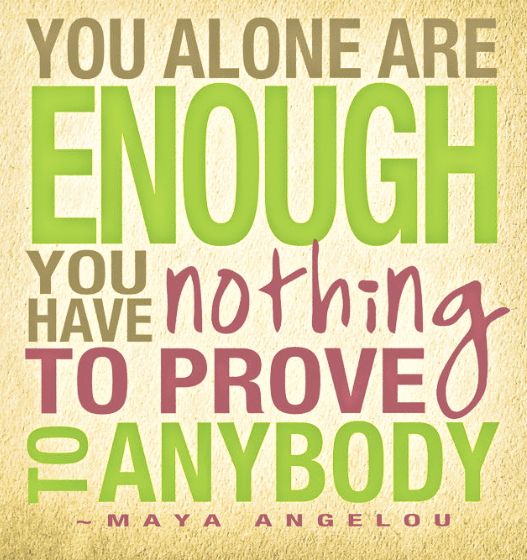 Some days we have to say that just doing our best serving the one who IS “enough” has to be enough for us. That’s hard. When I pray I ask for forgiveness because I have not done anything I feel is worthy. I ask God to “average” it out when I was able to do more…Thank you so much for lifting the burden.